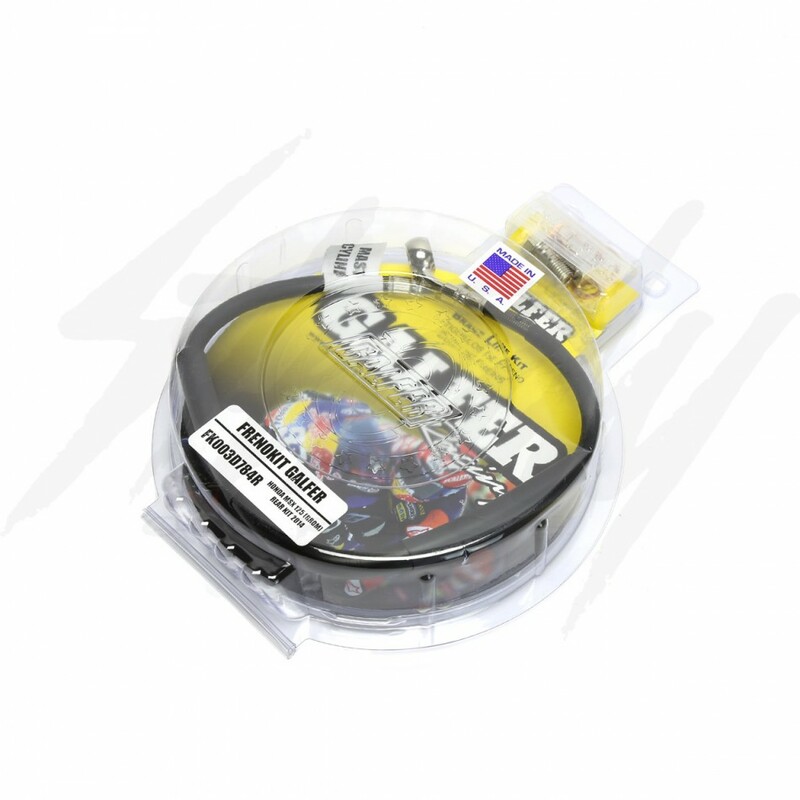 Galfer Racing stainless steel performance REAR brake line for Honda Grom 125! 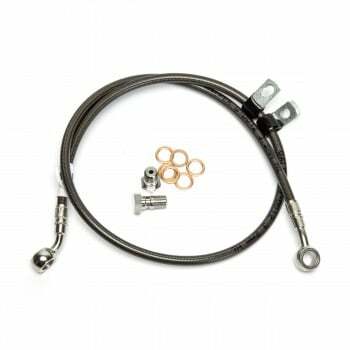 This is one of the first thing anyone should do to their Honda Grom 125, upgrade the brake lines from the OEM rubber to SS braided lines! 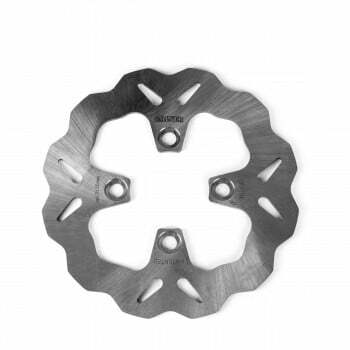 Improve brake feel and performance! Direct replacement! 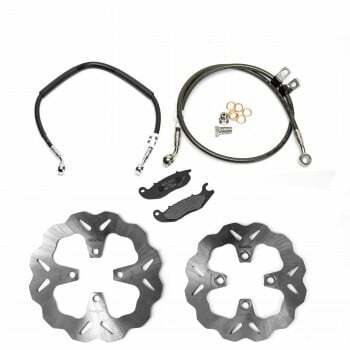 Galfer Racing performance brake system is one of the top brake brands in the industry! 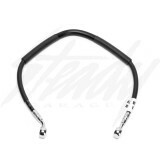 If there is one item you can get that will make an instant, noticeable improvement to your brake feel and performance, switching to a stainless steel braided line is it! When you squeeze your brake lever and force fluid through the hydraulic line to the caliper, the line expands under pressure. This means that a good portion of the effort you put forth from your hand DOESN’T get to the caliper! It makes the line expand. 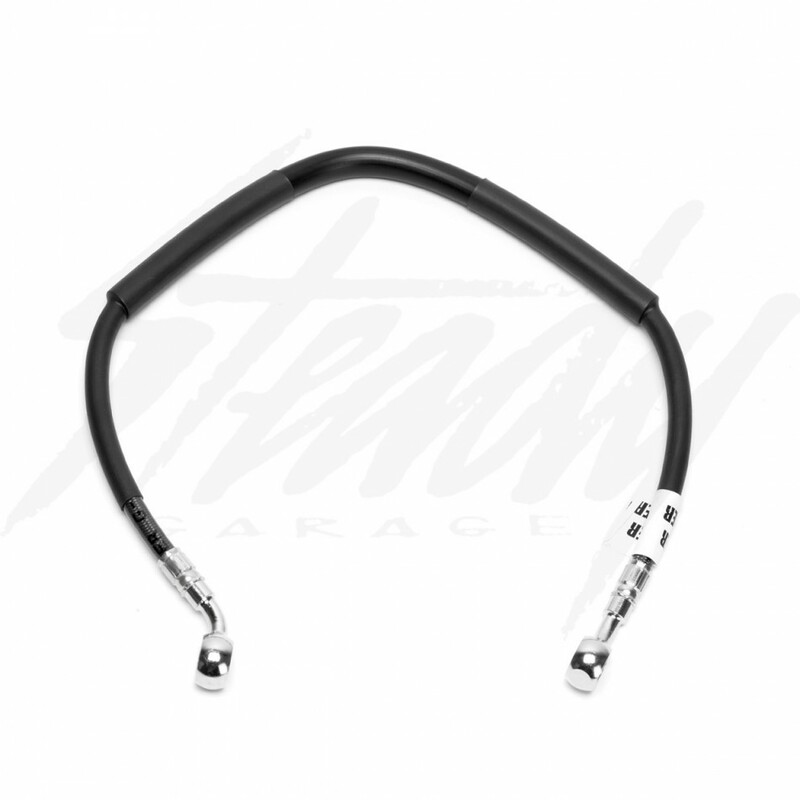 By switching to a stainless steel braided brake line, you restrict the lines expansion characteristics. 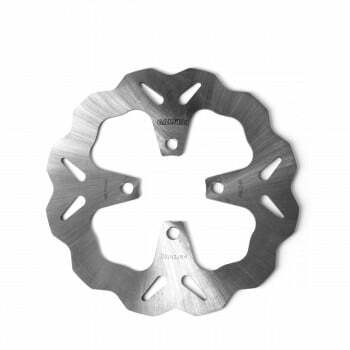 This means that your hand pressure goes directly to the caliper.